Nokia . The Lumia battery is failing. software was designed by adults. Must have phone...got the Lumia 800 and i really must upgrade to this topo hihi love you nokia..
[deleted post]dude i was wondering how only u know everything that has been admitted by nokia and microsoft....!! i must tell u ur a very keen hater of this beauty.. I know the 800 is having problems tethering, will this be able to tether out of the box? Any help would be appreciated. Steve bl0wjob, 09 Mar 2012knock2!!! wakeup nokia hey wakeup?, it's still ancient amoled, no super amoled or even super a... moremulti core on samsung android, but still lags? more cores on your android yet the response time from the screen lags? every major upgrade of the Android OS, phone hardware needs to upgrade as its trend. whew.. if this is pc, no problem but this is a phone! Steve bl0wjob, 09 Mar 2012knock2!!! wakeup nokia hey wakeup?, it's still ancient amoled, no super amoled or even super a... morehehehe i think u should research about AMOLED.. its just a general term for specific kinds of amoled such as the superamoled plus by samsung.. samsung named it super amoled plus because it uses the conventional RGB matrix (which was not used in super.amoled of galaxy s 1 )which is actually the same conventional RGB matrix used in Nokia's Lumia 900. Nokia just can't call it Super Amoled Plus because it's not a samsung made AMOLED with conventional RGB matrix screen.. it's an AMOLED screen tat uses conventional RGB matrix with Nokia Clear Black Display which is actually better than Samsung specially in terms of sunlight legibility and contrast... i'm not a nokia user since 2007 and all my gadgets are samsung made but i'm just stating facts man coz ur misleading others..
Steve bl0wjob, 09 Mar 2012knock2!!! wakeup nokia hey wakeup?, it's still ancient amoled, no super amoled or even super a... morehey bro. Relax nokia probably'll realize it later. 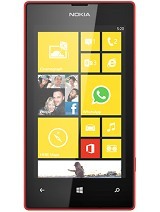 Afterall nokia had created a 41mp phone..
cafl, 09 Mar 2012Word of mouth indicates the lumia 900 is out on april 9th in UK. Just thought id share that. C... moreI envy you guys. In Philippines (im korean), the lumia 800 hasn't even been released yet. cafl, 09 Mar 2012Word of mouth indicates the lumia 900 is out on april 9th in UK. Just thought id share that. C... moreno that would be on march 18 , that was something i read in news. Word of mouth indicates the lumia 900 is out on april 9th in UK. Just thought id share that. Can anyone else confirm that? Just wanted to point out that having a device with high specs does not mean it'll run like a dream, it is the level of integration between the hardware and the OS that determines that. IOS is great in this part and have a very good ecosystem but the bad thing about their products is limiting the freedom of the user to customize and not providing simple features like video calling or FM that make me wonder do I want to control or be controlled, Andriod have a low integration level as their OS always require large amounts of resources and power. WP OS is good on both ends but what I need is a phone running a full computer OS like windows 8, because with that you have the whole Internet as your ecosystem and can run anything through your mobile phone. 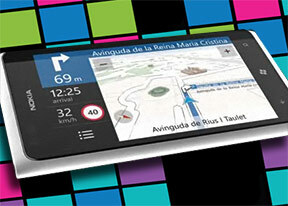 To use the same OS on your phone, tablet and pc is the future of mobile phones. mk, 02 Mar 2012i wish it had, a card slot, FM transmitter, Android ICSThis is very beautiful invention of modern science. Terry, 04 Mar 2012Its not a Android so WP like iOS does not need super high speed battery draining CPU's to work... moreiOS doesn't run that smoothly whilst multi tasking, A flaw I would call it, Hence why Android outperforms It. Does it will available worldwide? I mean Asia. can anybody tell me wat is the advantages and disadvantages of using windows fone over sambian fone...!! !